From the New York Times bestselling author of The Paris Keycomes the story of a mysterious work of art and the woman inspired to uncover its history in the City of Light. After surviving the accident that took her mother’s life, Claire Broussard worked hard to escape her small Louisiana hometown. But these days she feels something lacking. Abruptly leaving her lucrative job in Chicago, Claire returns home to care for her ailing grandmother. There, she unearths a beautiful sculpture that her great-grandfather sent home from Paris after World War II. 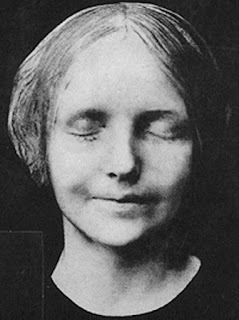 At her grandmother’s urging, Claire travels to Paris to track down the centuries old mask-making atelier where the sculpture, known only as “L’inconnue”—or the Unknown Woman—was created. 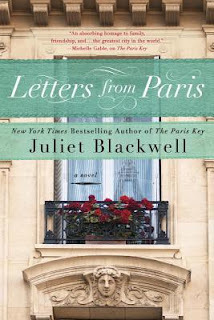 With the help of a passionate sculptor, Claire discovers a cache of letters that offer insight into the life of the Belle Epoque woman immortalized in the work of art. As Claire uncovers the unknown woman’s tragic fate, she begins to discover secrets—and a new love—of her own. Letters From Paris by Juliette Blackwell is a 2016 Penguin publication. The characterizations are vivid and complex. The mystery compelling and the philosophy of art and history connects the reader to various themes such as the concept of ‘kinysugi—which treats breakage as part of history, leaving the blemish or flaw visible, not disguising it, which can be taken literally or metaphorically. The story is also quite informative and taught me a great deal about art and history, and had me Googling artist’s names and reading about their lives and work. This book gave me a newfound respect for sculpture. But, most of all, this romantic tale of loss, love and discovery, is about finding one’s niche’, finding the place that makes you happy and content, the place you call home. Juliet Blackwell was born and raised in the San Francisco Bay Area, the youngest child of a jet pilot from New York and an editor from Texas. She graduated with a degree in Latin American Studies from University of California, Santa Cruz, and went on to earn Masters degrees in Anthropology and Social Work from the State University of New York, Albany. While in graduate school she published several articles based on her research with immigrant families from Mexico and Viet Nam, as well as one full-length translation: Miguel León-Portilla’s seminal work, Endangered Cultures. Juliet taught Medical Anthropology at SUNY-Albany, was producer for a BBC documentary about Vietnamese children left behind by US soldiers, and worked as an elementary school social worker in rural New York. Upon her return to California she became a professional artist and ran her own decorative painting, historical renovation, and domestic design studio for more than a decade. In addition to mainstream novels, Juliet pens the New York Times Bestselling Witchcraft Mysteries and the Haunted Home Renovation series. As Hailey Lind she wrote the Agatha-Award nominated Art Lover’s Mystery series. 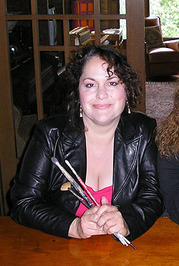 She is past president of Northern California Sisters in Crime and former board member of Mystery Writers of America. Juliet lives in a hundred-year-old house with extensive botanical gardens in Northern California, but spends as much time as possible in Europe and Latin America. She believes in the magic of language, travel, and cultural exchange to open hearts, minds, and souls.